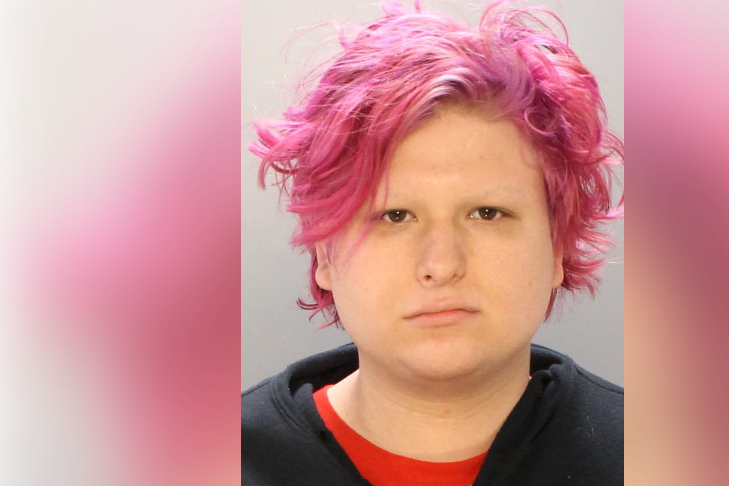 ReeAnna Segin was charged with trying to burn a flag at the Pride Festival in Philadelphia on June 10, 2018. District Attorney Larry Krasner announced Wednesday his office has withdrawn felony charges against the woman accused of burning an American flag at this past weekend's 30th annual Philly Pride Parade and Festival. Krasner's office said in a news release that they won't pursue the more serious charges of attempted arson and causing/risking a catastrophe against ReeAnna Segin of Woodbine, New Jersey. Prosecutors will proceed to trial with the misdemeanor charges of possession of an instrument of a crime and recklessly endangering another person. Segin, a transgender woman, allegedly burned an American flag with a thin blue line through it at 12th and Locust streets during Sunday's event for the city's LGBTQ community. The thin blue line American flag is used as a symbol to show support of police, and has often been used as a response to the Black Lives Matter movement, which denounces police brutality and violence against the African-American community. Police originally identified Segin her by her "deadname," or the name she no longer identifies by. Police said she was 18, but court records identify her as 20 years old. Krasner said an investigation revealed she tried to pour accelerant on the flag in order to light it on fire as road flares went off from her backpack. Authorities searched her bag and discovered two road flares, a can of paint thinner and a blue lighter stick. According to court records, a preliminary hearing is set for June 25, with a trial date scheduled for Aug. 15.